The rivers of the west attract lots of interesting people, today as well as long ago. 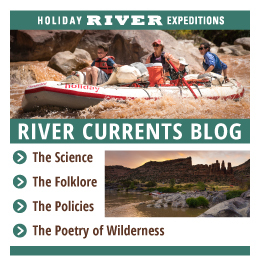 Some of the more colorful river characters made names for themselves via crazy exploits, daring exploration, or simply living by their own rules rather than those of society. 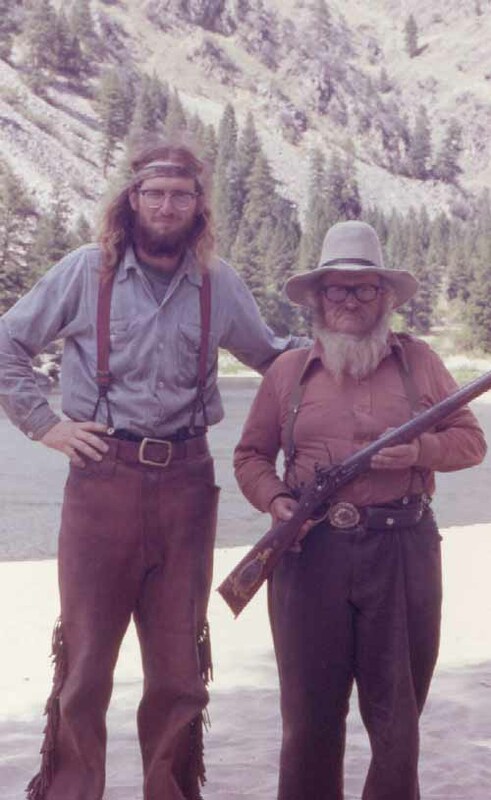 Buckskin Bill, also known as “the last of the mountain men,” forged a seemingly primitive life for himself along the banks of Idaho’s Salmon River, and this is his story. Born Sylvan Ambrose Hart in 1906, he received his nickname from local Forest Service rangers for the tanned deer hides he wore as clothing. Raised in Oklahoma Territory, he eventually found his way to the Five Mile Bar along the Salmon River in 1932 and made it his home. Mostly eschewing the dubious comforts of city life and strangling restrictions on personal freedoms there, Buckskin Bill chose a more solitary, utterly self-sufficient life by the Salmon. He fished, trapped, hunted, raised crops, made his own food and clothing and wine. People especially noted his skill at making utensils, guns, and knives. When he made rare visits to civilization (such as Burgdorf, ID, population 6), he reportedly spent the money he made panning for the river’s gold on Darjeeling tea, gunpowder, and books. Sylvan Hart possessed even more skills than those demanded by living off the land. He also held an engineering degree from Oklahoma University; studied Latin, Greek, French, German, Russian, Swahili, Portuguese, Spanish, and Norwegian; took courses in petroleum engineering as a graduate student; and worked on the top-secret Norden Bombsight at Boeing’s Kansas factory during World War II. He may have lived what appeared to be a simple life, but clearly he was not remotely a simple man. Buckskin Bill died in 1980, a mountain man to the last of his days. 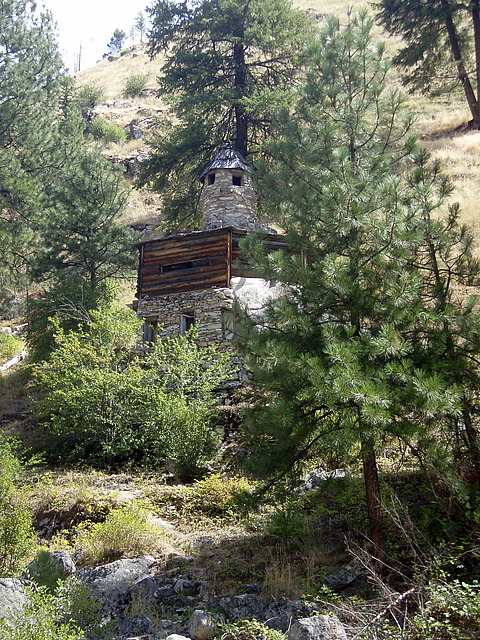 The Buckskin Bill Museum, located on the Salmon River’s Five Mile Bar, showcases the actual items he made and used in his lifetime. It also has a cool interactive video tour you can take right on your screen. Better yet, head up to the Salmon River and see it in person during your own river rafting adventure. The river still flows mighty and strong, and has some sweet rapids on it as well. 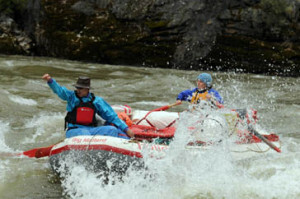 After you visit Buckskin’s old homestead, prepare to whoop and holler as you run Jackson and Ludwig rapids on Idaho’s wonderful River of No Return–the Salmon River, once home to extraordinary people such as Buckskin Bill, last of the mountain men.